In the same post I also included a list of ancient populations that showed at least two of these characteristics. I can now add two more populations to this list: the Minoans and Mycenaeans. Out of all of these groups, only the Mycenaeans are generally accepted to have been speakers of an Indo-European language. 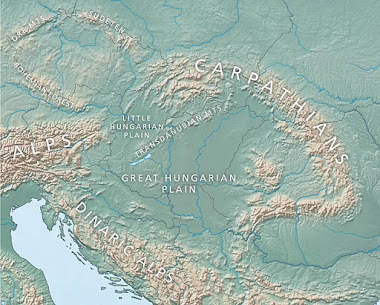 However, they differ from the others in that they harbor minor but significant ancestry from a source, or multiple sources, closely related to Yamnaya, Sinatshta and other Bronze Age peoples of the Pontic-Caspian steppe (see here). Possible question for the discussion in the comments: what does this say about where the Mycenaeans got their Indo-European language? Also, who wants to bet that Bronze Age samples from the Indus Valley Civilization will too make it onto my list? It is difficult to evaluate a given analysis of Linear A as there is little point of reference for reading its inscriptions. The simplest approach to decipherment may be to presume that the values of Linear A match more or less the values given to the deciphered Linear B script, used for Mycenaean Greek. In 1957, Bulgarian scholar Vladimir I. Georgiev published his Le déchiffrement des inscriptions crétoises en linéaire A ("The decipherment of Cretan inscriptions in Linear A") stating that Linear A contains Greek linguistic elements. Georgiev then published another work in 1963, titled Les deux langues des inscriptions crétoises en linéaire A ("The two languages of Cretan inscriptions in Linear A"), suggesting that the language of the Hagia Triada tablets was Greek but that the rest of the Linear A corpus was in Hittite-Luwian. In December 1963, Gregory Nagy of Harvard University developed a list of Linear A and Linear B terms based on the assumption "that signs of identical or similar shape in the two scripts will represent similar or identical phonetic values"; Nagy concluded that the language of Linear A bears "Greek-like" and Indo-European elements. ″Beginning our research with inscriptions in Linear A carved on offering tables found in the many peak sanctuaries on the mountains of Crete, we recognise a clear relationship between Linear A and Sanskrit, the ancient language of India. There is also a connection to Hittite and Armenian. This relationship allows us to place the Minoan language among the so-called Indo-European languages, a vast family that includes modern Greek and the Latin of Ancient Rome. The Minoan and Greek languages are considered to be different branches of Indo-European. The Minoans probably moved from Anatolia to the island of Crete about 10,000 years ago. There were similar population movements to Greece. The relative isolation of the population which settled in Crete resulted in the development of its own language, Minoan, which is considered different to Mycenaean. In the Minoan language (Linear A), there are no purely Greek words, as is the case in Mycenaean Linear B; it contains only words also found in Greek, Sanskrit and Latin, i.e. sharing the same Indo-European origin." The assumption Minoan is non-IE and the lack of EHG in Minoans to me confirms they were non IE Let's be honest genetics has put an end to the IE debate. As I've said before, and you mention, it was a series of different expansions. Only diligence and wisdom can separate what they all mean. they certainly aren't a homogeneous "CHG folk". "However, they differ from the others in that they harbor minor but significant ancestry from a source, or multiple sources, closely related to Yamnaya, Sinatshta and other Bronze Age peoples of the Pontic-Caspian steppe"
Maybe discovering a finger print of the events described in the "table of nations" in Genesis chapter ten? Since Y hap J is the #1 type in Jewish men it makes sense that it was the Y found in the population the Jews came from. okay so.... The prominent Y-Hg's of Indus Valley Civilization/Sindhu-Sarasvati-Civilization should be R1a,R2,J2 and L .
We should also expect regional variation , the civilization was vast . i revised you argument. "since the y haplogroup J is the #1 type in chechens, it makes sense that it was y found in the population the chechen from." please stop politic agendas while discussing ancient dnas... Even there werent any jew when minoans were surviving. Mycenaeans? More directly from Cetina and Csepel East, at least between EHii and iii. IOW, Heartland Europe. IVC? Uniformly Elamo-Dravidian in the earliest phase, but becomes progressively cosmopolitan with an IE world system developing in it's shadow. Jews were there around 1500 BC , Minoan Civilization lasted around 1000 BC . So what you meant by that statement?. Is this Rob no. 3 or 4? Hopefully we'll get some Sumerian, Elamite, and Semitic Mesopotamian stuff soon. No doubt they will also find a home on Dave's list. The IE urheimat debate is the most popular subject on this blog, but modern finds supporting the Kurgan hypothesis merely reinforce something most folks (including myself) already assumed and took as read well before the recent spat of ancient DNA testing. It's great to see modern data lend credence to old theories, but it doesn't excite me the way learning something totally new and unexpected does. Enter "Homeland #2." True, I'm a J2a1 male so I naturally have a personal interest in the topic, but come on, folks, this is intriguing stuff! Could an affinity for city-building, writing, and other civilizational trends in the oldest cultures in the Fertile Crescent (Egypt and Mesopotamia) and India trace back to these Iran Chal-rich migrations? Were some of these ideas already nascent when the Iran Chal-rich people arrived or did the peoples they formed just borrow from each other later? Yet no matter which languages they spoke, which gods they worshiped, or what exotic admixture (ASI, steppe, SSA, whatever) they possessed, most of the peoples above lived in societies characterized by monumental stone architecture and written languages. Indeed, they boasted the earliest civilizations in West Eurasia. If it turns out they all share a rush of relatively recent post-Neolithic Iran Chal-like ancestry (as seems reasonable to assume at this point) timed with the emergence of civilization in those regions, then that's at the very least thought-provoking. Certainly not in totality, but the best explanation for IE speech. If you look at arrowheads, cattle heads or people heads, seems to point towards a syncreatic Beaker culture of CE Europe IMO. Of course Greece is a more difficult location to understand because it is so close to the source populations. Indeed, at this point, the late prehistoric CHG/Iran_ChL + J expansion signal looks like one of non-PIE civilization builders. Question to someone who might be able to give a coherent answer: was the Minoan language perhaps Afro-Asiatic? And no I'm not advocating any of the stuff in the Black Athena book, just wondering whether we could somehow linguistically link most of the pops on the above mentioned list? "Certainly not in totality, but the best explanation for IE speech. If you look at arrowheads, cattle heads or people heads, seems to point towards a syncreatic Beaker culture of CE Europe IMO. " I don't know what special "arrowheads' you think you are seeing (indeed, even within BB there were at least 3 different traditions), and certainly your assessment of Greek would be rather cursory if that's what you're hanging your hat on, because so many other events occurred, and rather obvious ones which you seem to be unaware of. Whatever the case, BB -at best- can explain pre-Italo-Celtic-Germanic. It's role in Greek and other Balkan IE is rather minimal. "Could an affinity for city-building, writing, and other civilizational trends in the oldest cultures in the Fertile Crescent (Egypt and Mesopotamia) and India trace back to these Iran Chal-rich migrations?" That's an interesting idea. If true I would think that it was a single mHG J rich cultural group from the Fertile Crecent that spread its ideas with its genes. Is there any evidence from archaeology of a single group migrating to Levant, Egypt, and even into India? I don't like to generalize people across lots of land and time but maybe maybe the R1 rich Steppe Indo Europeans and J rich Mesoptamia people created two large Bronze age cultural and Y DNA zones. We don’t know Minoan language but some elements of Greek religion which probably came from Minoanians can also be found in North Africa. On the other hand Greek religion also shares a lot of common elements with Indo-Iranian and Slavic religions which is also reflected in their language. All the arrows point to the area where Slavs and Indo-Iranians originated which is not the steppe but the area where forest steppe pastoralists mixed with Neolithic farmers, i.e. Vistula-Dnieper area. From this area most probably also the ancestors of Mycenaeans came and I expect some R1a and I2a in their Y-DNA. Prediction: I reckon Maykop people will also look like Homeland number 2 people, with lots of J, maybe even 100% J. "Also, who wants to bet that Bronze Age samples from the Indus Valley Civilization will too make it onto my list?" Not from the Indus Valley, no. But I do think samples from the Oxus, Bactria, Mughrab, and perhaps even Gandhara & "Pashtunistan" regions, will harbor Iran_Chlc influence shortly before a presumed influx of steppe-related ancestry there. I expect Indus Valley to be entirely Iran_N or perhaps slightly ANE-shifted/CHG-like in its non-ASI ancestry. Bet placed. We risk to be slave again of an agenda and propaganda whose we know very well the origin, but that has been demonstrated wrong on many points. Which are the fundaments of these statements? We know for certain that Afro-Asiatic languages were born amongst Natufians, who were only some subclades of hg. E.
That Semitic languages were born very likely in the peryphery of that world, Eastern Mesopotamia, dominated from hg. J1 and J2 (I think come from Caucasus and before from European hunter-gatherers (we'll see next aDNA) ). The expansion of this people and language happened with the event of 4200 years ago from Mesipotamia, thus demonstrating that Y hg. J wasn't in original Afro-Asiatic Natufians. R2 and J2 expanded very early from this region to India. No R1 has been found so far in those places (Caucasus, Middle East, Anatolia) older than the Western European, Balkanic and Eastern European ones. A J1 type is even younger in Arabs, not more than 3300 ya, and may have come from everywhere, also Europe. Each link has to be demonstrated and not presupposed. All the haplogroups found in Canaanites are dead end and don't demonstrate anything. I don't enter the question of the reliability of ta book written or written again after the Exile from Babylon. Закончил процесс извлечения полезной информации из генома одного из жителей древнего финикийского города Сидона (того чья Y-гаплогруппа J2b). Собранный из fasta файлов элайнмент генома оказался жирным - на выходе, после всех фильтров его размер в бинарной версии составил 15 гигов. Жирно! Благодаря чему удалось определить диплоидные варианты тех снипов, которые присутствовали на чипсете 23andme v3, а таковых было около 830 000. Неплохо, так как такое количество позволяет сделать уверенные предсказания насчет геномной близости жителей древней Финикии к современным популяциями. Вопреки заявлениям коллектива авторов Haber et al. 2016 (Biblical Canaanites live on in modern-day Lebanese people with which they share 93% ), в том же K36 хорошо заметно что самой близкой популяцией являются самаритяне (с которыми они разделяют 82% общего генетического дрейфа), причем этот геном может быть представлен в виде следующей модели Samaritan 86.97 + Palestinan 6.62 + Levant 6.41. Вообще странно, почему авторы исследования не использовали для сравнения полногеномные сиквенсы самаритян, давно уже имеющиеся в SGDP - Smithsonian genome diversity panel. Тогда результаты бы очень сильно отличались от того что у них получилось. J2b2a could be present in Maykop. :) The one that was found in Croatia BA with a Steppic mitogenome. Because J2-M67 is also present among Greeks and Italians. And that Mycenean could be M67. It seems that he has 3 positive SNPs on that level. Unfortunately low coverage doesn't not permit to call him securely J2-M67. It must be also noted that the last common ancestor of J2-M319 and J2-M67 was living 14700 years ago. Most J2 branches are like this. Very divergent. But one thing perplexes me seriously. Why all this civilization builder nations so easily gived up their identity and shifted to IE. Something doesn't stick here. Egyptians were not J people. That J among them is from Semites. That samples are too young to be called true Egyptians. I was meaning specifically non IE J2 nations like Minoans and additionally Etruscans, Hurrians, IVC, Kassites. "J2b2a could be present in Maykop. :) The one that was found in Croatia BA with a Steppic mitogenome." About BMAC , since we already know the results . The results were already expected from archaeology , a substantial influence from Near East , which can be considered as intrusive to the region , it also failed to create permanent genetic impact .i.e. the migration from the West . "I was meaning specifically non IE J2 nations like Minoans and additionally Etruscans, Hurrians, IVC, Kassites". Of course Etruscans get many old J2 haplogroups (in the 1KGP hg. J was as high as hg. R-U152), but my theory (also this time against all) is that Etruscans were the descendants of the Aegean agriculturalists who migrated to Balkans and central Europe, and only after to Central Italy, but leaving beyond them Rhaetics and Camuns, and the language of Lemnos if it is old and not recent due to Etruscan sailors. Thus Etruscan language is anyway born in a peri-indoeuropean world (this was the theory of a great linguist: Giacomo Devoto). The same could be true for Minoic if we were able to understand it, but don't forget all the languages also of the Sea Peoples and those found in Crete that seemed close to Italic, for not speaking of the Iberian languages. We have a great work to do for explaining the origin of Indo-European roots not only of Asiatic languages, but of Etruscan, why not Basque (Forni theory: not to boycot as someone said in this blog), and why not Euphratic etc. etc. Anyway my idea that Indo-European in all its branches comes from the European hunter-gatherers stands yet. We have a multi-directional expansion of CHG/Iran_N like populations over a vast geographical expanse. This group like was well acquainted with agriculture and animal domestication, maybe was one of the centres of origin. It was people related to this very group whom we find as having admixed with the steppe people to create the Yamnaya which then later expanded into Europe and was the likely vector of European IE languages. How is it that such a demographically influential group (CHG/Iran_N) who were also likely pioneers in agriculture and animal domestication, did not leave much trace in terms of language ? How is it that this group did not spread its language and religion but allowed itself to linguistically and religiously be dominated by the steppe nomads when they mixed up with them on the steppe ? Does this narrative make any sense ? It makes perfect sense, because there's no trace of the southern expansion in the Y-chromosomes of the Bronze Age steppe peoples and their offshoots. And early Indo-European culture was a patriarchal one. Where's the J in Yamnaya, Poltavka, Srubnaya, Sintashta, Corded Ware, Unetice, eastern Bell Beakers etc.? Not even one. I would be very grateful if you can cite me some papers which establish the links between Maikop and Anatolia in the early Bronze Age. There is clear evidence of Central Asian influence on the Maykop culture in the 4th millennium BC. Maykop in turn influenced the steppe. If there was also an influence westward, it will complete a link. IVC being Dravidian is based on what?. Who proposed such a strange theory? And why Dravidian should come from J2a side when their most frequent Y dna is the H1a and they practically don't have any CHG affinity. It is also a fact that Afro-Asiatic ,Hurro-Urartian , Sumerian , in some respect also Caucasian show early contacts and similarities with Indo-European . Simple answer to your question - early IE folks were basically white Mongols/Turks. Savage but fearsome warriors who imposed their languages upon more civilized but less agriessive/warlike people. Nirjhar007 linguistics is at the STRs level, where convergent mutations, for many years, brought legions of newbies to their pet theories. Show me some deeper theories as to STRs (for instance that take into account my 4 golden principles) or, better, some comparison at the SNP level, or, if you are able, at the autosome level of Davidski. Who spoke of Moroccan Jews on Anthrogenica (I am not able to read that, only the first line). Where is the origin of some Moroccan Jews who are R1b1a2-L23-Z2110-CTS699 like an Iberian from Southern America and now of an Italian from Apulia, all in the YFull tree? Certainly I'll be able to answer this question, without any doubt. They did have a linguistic influence on the Proto-Indo-Europeans, originating on the Pontic-Caspian Steppe, and all subsequent Indo-Europeans. Indo-European is a vast issue, it also shows profound contacts with various Eurasian languages . Good to see that with the Mycenaean DNA finally the IE language debate can start, though for now it's only baby steps. It's going to be a very difficult question to answer, that will require many samples from many locations and periods to determine the location of the Urheimat, and that if we ever find it. Yes, from that list only Mycenaeans can be securely called IE. Unfortunately, other groups like Minoans, Anatolia_BA or Iran_Chl could or could not be IE, we don't really know. I've never been a big fan of linking in a strong way Y-DNA and language, but I reckon that Y-DNA might be fundamental in many cases, as the autosomes become more blurry once populations mix up, as it happened in West Eurasia already by the BA. If not to track languages per se, to track population movements that we can later link to languages in some cases. The Iberian paper concluded that the lower steppe ancestry in Iberia (compared to northern Europe), can explain the survival of non-IE language, specifically in Basques. Basques might be good representatives of pre-Celtic and pre-Roman Iberia. It could be that Celtic invasions only affected selectively those who previously already spoke IE languages while leaving the non-IE ones unaffected. But that's not very parsimonious. And we know that those who didn't switch to Celtic spoke, by far and large, Iberian languages (probably related to Basque, though not surely). by the tie Romans arrived to Iberia, they still represented the largest percentage of the population (since the Iberian areas were more developed and densely populated than the Celtic ones). And therefor the base of modern Iberians (genetically). Basques might be around 25% Yamnaya, even if they're much further away from the steppe than Greece. And they can be modeled quite good as 50% Bell Beaker from Germany. They're ~85% R1b, a bit higher than other Iberians (~70%). How likely is that Ibero-Vasconic languages came from the G2a EEFs? Was language transmission mostly mediated by females in the BA? If so, the whole R1b = IE would fall flat. And if language was transmitted by males, then the whole R1b = IE would fall flat too. So either way, we have a problem. We'll see what aDNA from IA Iberia and Italy can tell us about this. For Mycenaeans we'll need more samples, but objectively nothing indicates that further samples should be very different from the ones we have (specially when the ones we have are just as we could expect). More Y-DNA is definitely needed, but nothing really indicates that we'll see a whole lot of R1. Maybe some R1b-Z2103, but hardly enough to suggest a language shift when compared to Iberia. (I'm very sceptic about that R1a-Z93 possible connection, to be honest). (How much of that 10-12% Yamnaya admixture in Mycenaean might be really from Yamnaya? With the Mathieson paper in hand, optimistically I'd say 50%, but probably quite less). So let's see what further Mycenaean, Hittite/Luwian and SC Asian DNA tell us. With good sampling of those areas and periods we might start to understand the origins of IE languages and their spread. As far as I understand is that G2 was the main Megalithic builders in Europe, so why not Maykop as well ? G2 basically disappeared from most of Europe. Why not from Maykop as well ? 'As far as I understand is that G2 was the main Megalithic builders in Europe"
Hows that ? Virtually all Spanish and British pre-BB were I2a. "Why not from Maykop as well ?" A long pondered question. Are there links with European Megaliths, or its own tradition ? And you know Ivanova's work. The link was definitely multilateral. And we can already see that in the aDNA. Soon I'll put it all together. Where were G2 found sofar ? If I remember correctly in Iran,Anatolia,Balkans,Italy,Spain. Where were I2a found ? Not in Anatolia. Not in Iran. And where were J1 and J2 found ? "We have a multi-directional expansion of CHG/Iran_N like populations over a vast geographical expanse. This group like was well acquainted with agriculture and animal domestication, maybe was one of the centres of origin. How is it that this group did not spread its language and religion but allowed itself to linguistically and religiously be dominated by the steppe nomads when they mixed up with them on the steppe ?" It seems like there were two "lobes" of civilization coming out of a center near the present eastern Turkish border with regards to things like farming, animal domestication, and pastoral herding. Add building large structures to the less nomadic side. The north lobe is Y hap R1. The south is Y hap J based. The language issues could be explained by the R1s taking some wives from the southern group and the wives adopting the language of their new tribe. They brought some of the animal husbandry practices, and maybe some of the animal breeds, with them. So the R tribe took wives from the J tribe, and the combo allowed them to go on a real tear, genetic and linguistic success-wise. The J tribe also went on a tear, but they did it differently. They wound up expanding and starting all of these "nations", but they picked up local people from wherever they went when they did it. I mean imagine that you are a band of hunter-gatherers and these people show up that have hundreds of prey animals willingly just follow along behind them. Instead of foraging they make the crops grow thick wherever they are. You want to join them if they are open to taking your service. After a while the locals joining the civilization starters overwhelm the starters with sheer numbers. The civilization starters may have been the natural nobility for a while but the language of the commoners is the one that sticks. Example: the Norman Kings of England spoke French for many generations, but in the end the language of the commoners won out. Just like I am struck by how the expansion of the southern lobe of civilization builders sounds familiar from the "table of nations" in Genesis 10, the account of the tower of Babel sounds like the story of this Y hap J group of civilization builders losing language dominance. I mean some of you are asking the question, and its a good question, about why this group that expanded so dramatically did not leave much in terms of language. And here in Gen. 10 and 11 is an account of how a group from the same region expanded and started all of these nations and then lost language cohesiveness. Am I the only one here amazed by this? So long as I am laying it all out here, let me go one further. Earlier in Genesis six there is an obscure reference to the "sons of God" taking the "daughters of Adam" to be wives, and the offspring of these unions being men of renown who became "the heroes of old". I dismiss any notion that was later ascribed to this account of it being about "fallen angels". But I do find it plausible that it was talking about some powerful tribe taking wives from the groups which later became the heart of the CHG/Iran_N group. That powerful tribe went on to become even more powerful with the help of the new brides, their livestock and their offspring. Maybe the Y hap Rs that later became the Yamnaya are what is being referenced. Folks are in denial who believe that Linear A or pre-Greek is I-E. The typology and phonetic inventory and the consonant clusters are completely alien to proto-IE. Most plausibly, these languages (plus Eteo-Cretan, Eteo-Cypriot) are substrate languages, perhaps associated with the post-Neolithic spread of some J2 and J1 lineages (like J1-Z1828) from the East (Iran, Northern Iraq, Eastern Anatolia, Armenia) to Western Anatolia and Crete and mainland Greece. Enough already! Minoan, Eteo-Cretan , etcbcould be Neolithic languages. Is there any typological feature linking them with Hattic or Hurrian or some other prospective paleo-north- Mesopotamian languages ? Mycenaeans could have been Indo-Europeanized by the proto-Greek speakers coming in from the steppes. Since Greek and Armenian show some similarities enough to be put in a subgroup, I think it is clear that the speakers of Proto Greco-Armenian were among the last IE speakers left on the steppe (corresponding to the Catacomb culture). The proto Greeks migrated west,filling the vaccum left by proto Italo-Celtics, there they encounetered the neolithic ancestors of the Mycenaeans and Indo Europeanized them. The Armenians later migrated east from the steppes over the Caucasus. The answer to your second question - of course, the IVC has long been recognized as part of the neolithic expansion from the Middle East. I think it's fairly obvious the results would show a mixture of haplogroups H, J. "was the Minoan language perhaps Afro-Asiatic?" On genetic and geographical grounds there is a reasonable chance but no chance at all if we go by the nature of the Minoan script. The nature of a syllabary makes it a very unlikely model to be adopted for an Afro-Asiatic language when there were ready made examples for this language type on their bronze age doorstep. I thought BA Anatolia is believed to have spoken Indo-European? "Minoan, Eteo-Cretan , etcbcould be Neolithic languages. Is there any typological feature linking them with Hattic or Hurrian or some other prospective paleo-north- Mesopotamian languages ?" Yes! Hattic is prefixing, similar to Linear A and Hurrian is agglutinative and suffixing, similar to Eteo-Cretan and Eteo-Cypriot. Hurrian also bears lexical similarities with the Nakh-Dagestani/NE Caucasian languages. My guess is that Linear A and Hattic are close to the Neolithic languages, exemplified by the movement of G2a-P15 lineages with farming and that Hurrian/Eteo-Cretan/Eteo-Cypriot reflect the Chalcolithic/BA langauges that moved into the region from the Northern Ubaid Period to EBA. We know that Hittite/Palaic/Luwian languages are I-E, but we don't know when Luwian arrived in SW Anatolia where the BA Anatolians sampled in Lazaridis dwelt. Clearly other documented languages like Hattic and Hurrian were in or near Anatolia during the late EBA. Roy, I think you're going in the right direction. I believe the ancestors of the Eteo-Cretan and Eteo-Cypriot speakers may have been descendants of the Kura Araxes culture, which doubtless has some relationship to the northern Ubaid and later the Uruk cultures. Many Uruk migrants came to the Caucasus in this period, complicating the question of the ultimate origin of the KA culture. I'm also partial to the scenario where ECr and ECy are descended from Linear A, rather than Linear A being neolithic. But I'm not wedded to that idea. Yours sounds plausible too. I don't think we are going to be able to really get to the bottom of things until we have Mesopotamian aDNA. More Caucasus aDNA is also big on my wish list. I think the spread of Iran Chalcolithic to Central and possibly South Asia by the bronze age is very likely, but we have even less evidence to go on than in the Mediterranean. I predict J2 and CHG rich ancestry in BMAC and IVC, though I believe IVC was primarily Iran Neolithic derived and Y hg L and R2 were more common. "About BMAC , since we already know the results ." Interesting theory. Since you're using that analogy/line of reasoning, have you considered the possibility of them being early slavers? Could some of the CHG be attributed to slave-girls? This is contingent on how proficient their equestrian skills were, of course. It's not a stretch to speculate that there was a much more complete cline of variation between yamna and CHG-rich clusters. In other words, there were populations with genomes spanning the gap between Armenia_Chl and Yamna---not all of these existed simultaneously. I think there were a few transitional predecessor populations that culminated in the formation of the Yamna-like package. Kum4 was a low coverage sample, but if contemporary high-quality genomes like that are found, it would explain the strange "horizontal" shift towards ANE. Anybody have an explanation for why all polytheistic European religions were all basically the same. Same gods by different names, same stories by different names, same theology. Does Hinduism show parallels? Is there any evidence for a proto Indo European religion? Wouldn't it be interesting to redo that with Iran Chalcolithic to see if it does better or worse than CHG? That might settle some of the suggestions. Scandinavian Ymir is sometimes connected with Hindu Yami, both primeval beings. The latter has a twin brother called Manu. Oddly enough Tacitus mentions a primeval being venerated among the Germanics called Mannus, being the son of a god Tuisto, in roughly about the same role. Too good to be coincidence, one might say. There is much, much more. IVC people were ASI related people. By bronze age, a hybrid race of Iran Neolithic and EHG (somewhat similar to modern day afghans and kalash) migrated to South asia from Central asia. I'll take the bet on IVC David since aren't they supposed to be haplogroup H dominated? :3 They might still have the same admixture but not meet your criteria and I'm willing to be pedantic lol. I think you're right David (I've come around) but it just raises more questions. Minoan, Etruscan, Dravidian, Canaanite... these languages aren't closely related. @Davidski Do you think the Proto Armenians migrated together with the Proto Greeks through the Balkans or did they follow a separate migration route possibly across the Caucasus? IVC people were ASI related people. Only partly. They were mostly of eastern Fertile Crescent origin, via at least two separate waves, one more closely resembling Iran_N and the other Iran_ChL. I don't know. It might turn out, for example, that Greek and Armenian both came from Catacomb on the steppe, and left the steppe separately, perhaps via separate routes. I recommend that you consult the works of Georges Dumezil. He has done in depth analysis of the mythology of the various Indo-European religions and identified many of the common threads of the proto-Indo-European religion. I would bet my bottom dollar that there are deep time depth linguistic family connection between Sumerian, Elamite, Harappan, Minoan, Hattians and Hurritans. This family also probably includes the ancestors of both the Northern Caucasian and Southern Caucasian languages. This was a big ergative language family. I also think that the likelihood that Harappans spoke a Dravidian language is very low. The IVC civilization had some very controlled trade ties a some outposts at the frontiers of each culture, but really had extremely little material culture overlaps. Any traces of Dravidian language communities or toponymns outside its core area can be pretty convincingly tied to relatively recent migrations. I will also go out on a limb and say that the Anatolian languages are not older than Mycenaean. They look old and divergent not because they separated earlier, but because the non-IE substrate in which they were established was so profoundly different from the EEF language derived substrate that it developed great differences from other IE languages very swiftly. When you look carefully at rate of language change, the baseline random mutation changes you see, e.g. in Icelandic, are very modest and instead the lion's share of language change actually comes from contact with other languages or from the social process of intentional differentiation from a parent language (like the intentional development of an American accent that differed from an English accident). "will also go out on a limb and say that the Anatolian languages are not older than Mycenaean. They look old and divergent not because they separated earlier, but because the non-IE substrate in which they were established was so profoundly different from the EEF language derived substrate that it developed great differences from other IE languages very swiftly. " The substratum theory doesn't fly. It's not as if all other IEs moved into empty lands. "Mycenaeans could have been Indo-Europeanized by the proto-Greek speakers coming in from the steppes. Since Greek and Armenian show some similarities enough to be put in a subgroup, I think it is clear that the speakers of Proto Greco-Armenian were among the last IE speakers left on the steppe (corresponding to the Catacomb culture)." Unfortunately, there isn't much solid evidence to support such a direction. Whilst kurgans appear in Armenia, they *disappear* from the Balkans at precisely the Catacomb period. "Prediction: I reckon Maykop people will also look like Homeland number 2 people, with lots of J, maybe even 100% J"
Could be, but I expect a complex and protracted scenario of admixture in the Caucasus foothils and adjacent steppe since the Mesolithic, but more proximally involving post-Mariupol/ Skelya groups, Meshoko (wave 1 southern), Majkope (wave 2 southern) and local NW Caucasus groups. So Majkop itself could be exclusively J, or what have you, but there were other cultural units in the North Caucasus. I actually believe that's how it happened. Plenty of similar activity in the region for the last 1-2 thousand years. Crimean Turks stealing Slavic girls, Cossacks stealing Circassian ones and etc. One of the finest schoolars of American Academia, WF Warren, has written extensively about the cosmology of the various, mythological traditions of Old Europe and Old Eurasia. You may note that oldt anthropologers used to differ between "religions" and "mythologies". The latter is based on ancient traditions of oral story-telling, the former on a specific script, from a specific generation. Which means that 'all religions are based on legend" while "not all legends are religious". In fact, most I-E myth are profanic, i.e. earth-bound, in the explanations of their origin, stature and history. Accordingly, we may term and evaluate 'myths' different than 'religions', as sources of information. I think WF Warren was the first to give a complete overview of the Eurasian folklore and describe the common traits that actually exist - between ALL the old, IE cosmologies. Moreover, they are pretty well reflected in the Chineese, the Dravidian and the Uralian cosmologies, as well. It sure seems as the origin of this common historical herritage has its root in the first generations of settlers re-populated ALL of Europe and ALL of Central and Northern Asia, as the climate so allowed first after 12.000 BP. @Rob In that case could there have been a migration of both proto Greek and proto Armenian across the Caucasus? (Kura - Araxes culture?) Both would have been in contact with the Eastern IE languages and that would explain the partial satemization. Majkop was made by cattle-farmers with lowland bulls. Which indicates R1b. Kura-Araxes should be R1b also - alternatively highlanders with R1a. Before the arrival of cattle-farming this area seem mostly occupied by trappers, goat- and sheep-herders, characteristic of the oldest ('mesolithic') populations (y-dna G, H, I and J). While y-dna G2 dominates the oldest populations of Greece/Anatolia/Mesopotamia, the J2 seem to represent the older, dynastical populations east and south of the Taurus-Karakorum mountains - besides their dominance throughout the Indian subcontinent. The "tauric" characteristics have been found among R1b-groups in both SW and SE Europe. Majkop proper seem to be the south-eastern end of that spread, reaching from the tauric ukrainians to the Thyssagetae of the Caspian. The first cattle-farms reaching south of the mountains - through the trade-route from Samarkand and Quetta - founding Mehrgar/IVC around 7.000 BP. Mehrgard was barley-based, reflecting Narva/Oleni Ostrov, Srubna/Sinthasta, CWC and R1a, rather than Bug/Dniester, Sredny Stog/Yamna, CCC and R1b. We may find descendants of J2 arriving in Bactria and Trans-Cucasia later also, as during EIA and the Achamenid campaign among the Massagaetae and the Tyssageatae. Confirming the trend from LBA when the (indo-aryan) J2 intruded large areas out west - at the expence of the indigenous G2a2-populations of Mesopotamia, Anatolia, Greece and Egypt. David I'm afraid you're painting with too broad a brush. We really should not conflate Iran_Neolithic and CHG. From haplotype diversity in ADMIXTURE components the two are likely diverged since the Paleolithic or early Mesolithic--even ADMIXTURE will separate CHG and Iran_N by giving CHG only in Europe and Iran_N only in India and Arabia. qpAdm and Treemix detects this as well. The multiple expansions in the Middle Eastern and East Mediterranean region with CHG or Iran_N carrying populations are probably separate and should not be seen as a manifestation of one underlying phenomenon. The Anatolia Chalcolithic types and the earliest movements into the Levant and, also into Iran Chalcolithic as well, were associated with CHG-EEF mixed contributions, probably emerging from HG-farmer interactions in the foothills of the South Caucasus. If North Caucasian genomes are anything to go by--the contribution of Anatolia Chalcolithic to them is also very high--probably some spillover there occurred as well. Iran_N on the other hand moved later, appearing with Jordan_EBA via contribution from Iran_Chl and also appearing in Armenia from the same, and Iran_N or Iran_Chl is more prominent in North African Afroasiatics even today, also seen in aDNA from Egypt. The first CHG-EEF phenomenon quite probably had to do with early peri-Neolithic social processes between farmers and foragers, like the kind we find in Ukraine and Eastern European Steppes between HGs and farmers in the Balkans and Caparthians, where animals and goods were moving into the HGs, catalysing immense social change and development of new subsistence strategies, which then led to some HG movements or incorporations into EEF cultures. Or perhaps it was similar to the Hunter-Gatherer male elite burials in Lengyel Neolithic contexts--the culture was collapsing, bodies ill-nourished, populations were declining and social degeneration had set in due to ecological stress, and hunting ability was newly prized, causing extensive cultural instability and mixing with cultural foreigners in Czech and Slovakian remains at least as inferred from the bones. These CHG-EEF interactions resulting in expansions from the Caucasus were probably associated with some Caucasian and Aegean languages. The second Iran_N/Iran_Chl movement may be associated with Uruk proto-Urbanism/chiefdoms and emerging complexity and colonisation of distant areas, including Egypt, from Mesopotamian sources, by social groups with some degree of complex internal structure, probably responsible for some Mesopotamian linguistic isolates. This is not counting the circum-Arabian pastoral complex that was probably dominated by Natufian-type HGs in Arabia, Sinai and Southern Levant who brought an extra chunk of Natufian ancestry in the Jordan_EBA on top of what already existed in Levant_N and the new Iran_N contribution from Mesopotamia via Iran_Chl. Each of these phenomena are quite separate and deserves independent treatment. We really should not conflate Iran_Neolithic and CHG. I'm not. Wait for aDNA from Central and South Asia. CHG and Iran Neolithic both plot together for a reason. Both are closely related and likely near-identical to their Zarzian predecessor. They haven't been separated that long. CHG has extra European hunter ancestry. It is closer to Europeans, so pay no attention to Admixture and TreeMix. Secondly, EEF and Anatolians are already well-mixed with CHG/Iranian types. They have almost as much Iranian-related admixture as they do Natufian-related. It also didnt just appear in the Levant during the Chalcolithic, but clear back to early PPN days. Levant_EN has Boncuklu and additional Iranian-related ancestry on top of that. This mixing started 18-20k years ago in West Asia. E.g. Haplogroup J is quite unlikely to be associated with Iran_N in its totality, some clades likely went with CHG-->Iran_Chl and some likely got into Anatolia_Chl separately, which I expect we would find if we get more samples from there. Certainly the North Caucasians have only minor Iran_N but a lot of Anatolia_Chl and steppe ancestry, but they do have a lot of J, in fact they form a global hotspot of it. Eh, CHG and Iran_N don't plot together on PCA, they're pretty far apart, and Sasturblia to Kotias continuity tells us that the Caucasian HG population was split from Iran_N since the Paleolithic. Its true that the EEF--Natufian difference is right now unclear, PCA would suggest no Satsurblia or Iran_N input in Levant_N and EEF while qpAdm does, but at that level there is very likely some non-linearity going on. What do I mean? E.g. Kostenki, which technically is a "hyper-Western HG" (all later WHG-likes have some ANE and ENA ancestry) plots with Caucasians in PCA. For the very ancient Paleolithic and Mesolithic type mixtures or drift differentiations, if we try to include them with "Modern" WHG-ANE-Natufian-Iran_N mixtures, then we are forcing too many drift paths into one PCA, so the situation is unclear right now still I would think. They do plot together. CHG is just ~ 10% more of a pop like EHG. What I'm telling you is statistically sound. Both come from Zarzians, so it makes sense. This was shown in Lazaridis et al (2016) and Lipson et al (2017). This isn't just in qpAdm, but also qpGraph. Not only that, even archaelogy agrees. Even Central Anatolian lithics are a mix crescents and triangles, showing the mix of Kebaran and Zarzian. Plus, Western Anatolia had several epi-Gravettian sites. The Natufian+Iran+WHG model is very sound all-around. My models agree with this by showing near-perfect fits. If you know better than myself and especially Harvard, bring something forth. I'm not sure where you get the age factor from. CHG, Natufians, Iran, are all with a couole thousand years of each other. Nothing like the 20-25k of Kostenki compared to WHG. Lastly, just for perspective, the WHG samples plot together while separated by 6000 years from oldest to youngest. More than the separation between the age of Iran and Satsurblia, and nearly twice the difference of Satsurblia and Kotias. It's pretty sound statistically and archaeologically. But for some reasons it didn't worked in Levant despite the fact that it was ruled by IE-s (Persians,Greeks, Romans) for more than 1000 years. It didn't work for Ottomans also. No much Arabs dhifted to Turkish. But IE-s shifted to Turkish. PS btw the correct way to say would be that Turks and Mongols were Mongoloid IE-s. And not the inverse. @Chad and P Piranha's discussion, whether CHG and Iran_N plot together on PCA probably is not the best measure of how related they are. Just use simple summary stats of relatedness between then, e.g. CHG and IranN pretty differented by both measures. Relatively closely related only in relation of either to Anatolia / Levant N. Not closely related. Fst and Dstats are not useful compared to qpAdm and qpGraph. Way more power there. You have to remember the fact that Satsurblia is quite inbred, as well as the fact that Iran_N has more BEu, which will really mess with stats of relatedness. The fact is that the hunter ancestry of both is near identical, with both about equally related to WHG and MA1. Both being connected to the Zarzian, which started 18k BCE is very likely. Remember Fst saying that Natufians are closer to Africans than modern Near Easterners? Not a chance. Simple Dstats and Fst are not the way to go. qpAdm has CHG as about 10% more HG, while qpGraph goes about 3x that. Either way, the two do share a great deal of ancestry from the same group. I'll go with qpGraph and qpAdm any day over the other two. So do the people that put out the papers. Simple Fst, IBS, f3 provide simple estimates of relatedness. qpAdm, qpGraph are doing something quite different. If you ask the people who are putting out papers for a simple measures that allow comparison of differentiation between pairs of populations, they will not tell you to go off, model them with qpAdm and if they can mostly be modeled as one another plus another population, then they have low differentiation. They'll tell you to look at simple, direct measures of differentiation. Fst are not lower between Natufians and Africans compared to modern Near Easterners and Africans, and never have been. They didn't show this in any Fst table calculated. Not by Lazaridis's 2016 paper, not by Davidski. You may be misremembering what I think was some "Fst ratio" calculation Shaikorth used them for. I could be remembering Shaikorth in that area. However, simple Dstats are not informative as one might believe. I think we are splitting hairs here. CHG and Iran_N are, in-large, derived from the same population. The two form a cluster compared any ancient sample, except when EHG is involved, simply because of extra HG input to CHG, as I said. The problem here is also that EHG is significantly further from Ust_Ishim than WHG, suggesting possible CHG>EHG flow confounding the stat. 1. P Piranha: "Iran_Neolithic and CHG. From haplotype diversity in ADMIXTURE components the two are likely diverged since the Paleolithic or early Mesolithic"
Seemed probably correct to me. 2. Chad: "Both are closely related and likely near-identical to their Zarzian predecessor. They haven't been separated that long. CHG has extra European hunter ancestry.". In my view this was probably mostly compatible with what Piranha has said, as after all the Zarzian falls within the timescale of the (European) Upper Paleolithic to early Mesolithic. But I was not sure about the term "near-identical", which seems to imply that the CHG are not heavily differentiated together away from Iran_N and Iran_Hotu, once EHG is accounted for. 3. P Piranha: "Sasturblia to Kotias continuity tells us that the Caucasian HG population was split from Iran_N since the Paleolithic." Seems like Piranha's reaffirming the CHG were a real group that had been accumulating private drift from Iran_N since at least the Upper Paleolithic (e.g. they are not "near-identical" with Iran_N). This is where I jumped off into the Fst and D-stats. In those, there's obviously excess sharing of drift between Satsurblia and Kotias in the D-stat which doesn't fit as a simple linear combination of Iran_N+EHG, and Fst differentiation between CHG and Iran_N which is in excess of the expectation of IranN+EHG. The non EHG-line side of CHG shares a good drift length with Iran N. The two cannot be separated. Zarzian is 18,000-8000BCE. The ones that moved into the Caucasus picked up EHG-like admixture. This isn't that complicated. They split just before Satsurblia, obviously. Not way before. The material culture shows that. Plus, qpGraph requires Iran to share drift with CHG after aquiring Basal Eurasian, with CHG aquiring HG ancestry. Huge errors show up if you make Iran and CHG different groups. Back to Anatolians, specifically Boncuklu. IMO, you guys are getting too hung up on this fst thing. Higher ROH in CHG, compared to Iran_N might be causing its isolation in that regard. Clearly, CHG is significantly closer to Iran N than any other population. Even significantly closer to Iran N than Steppe EMBA. They have EHG, maybe and likely more than 10%, but not 40%. Sure, but that's the Upper Paleolithic / Mesolithic kind of dating period Piranha said he thought that they'd split? Higher ROH in CHG, compared to Iran_N might be causing its isolation in that regard. I have not heard anything saying increased long ROH should have any major effect on Fst or show correlation with Fst. (Short ROH should generally correlate with increased Fst but that is because they correlate to long term population isolation and lower effective population size, not short term inbreeding. Clearly, CHG is significantly closer to Iran N than any other population. Even significantly closer to Iran N than Steppe EMBA. Eh, a simple D(Mbuti,CHG,Steppe_EMBA,Iran_N) answers this, if you want to know about the measure of relatedness relatively more neutral to drift, and like I say, comparing the Fst for a measure that does not have this element of adjusting for the drift. It's a simple stat - as you'd say "not that complicated". They have EHG, maybe and likely more than 10%, but not 40%. Yeah, totally. My back of envelope with Fsts was just to show CHG their differentiation from Iran_N by Fst is equivalent to Iran_N60:EHG40 - e.g. that is, it's about 40% the size of the differentiation of Iran_N from EHG. Make of that what you will in terms of time depth what you will / intensity of drift. They couldn't actually have 40% EHG or all the other measures of Fst differentiation would go very wrong. They're a distinct population that had been drifting separately. Wouldn't high inbreeding, such as Satsurblia be ruining the stats? Ex: Creating false extra drift.. His parents were close relatives. Excluding him might change it. It certainly affects drift stats. Satsurblia is further from basically everything than Kotias. meaning dstats (Mbuti, EHG/Iran; Kotias, Satsurblia. Not significant, but it's there. Couldn't a small founder population for CHG create these false distances in fst? Wouldn't high inbreeding, such as Satsurblia be ruining the stats? Ex: Creating false extra drift. My understanding of the fst estimator is that it should not be accelerated by any drift that is private to one of the samples (e.g. anything in Satsurblia that's not been passed down by the population to Kotias). I could be wrong here, but that's as far as I know. A small founder population could accelerate the fst of the two populations (Iran_N and CHG) from each other. CHG does indeed look very slightly more differentiated from African outgroup than Iran_N, so possibly more drift, though both are still in the realms of the same kind of general numbers from African outgroup and range as Anatolia and Levant_N. But that's not really a false distance as such. If a founder effect has happened, the populations are differentiated. You'd need isolation to continue maintain a founder effect over time. Evolving separately since at least slightly before Satsurblia. Btw, just as an unrelated anecdote really, in the Fst stats Boncuklu looks to have a slight increase in Fst from the African outgroup compared to Barcin_N and probably about 10% extra WHG it looks like (as I recall various analyses). Barcin_N - Boncuklu Fst is about 0.027. That's about half the differentiation Fst gives CHG - Iran_N. Re: any role of RoH in accelerating Fst differences, it strikes me that the Mesolithic Swedish HG samples from Gunther et al might be a good way to test this. They show similar low RoH to Stuttgart, lower than Loschbour and Kotias. I've asked Nick about this since he obviously deals with this area. High ROH will affect it. Being inbred is no bueno. Boncuklu is highly inbred too. Not like Satsurblia, but pretty bad. He said it is best to check f4 (Outgroup, X; CHG, Iran) to find issues. Not only will inbreeding after separation create false distance, but relateds between two pops can create artificial closeness. Even negative. The African thing may also be Neandertal related. Iran is quite a bit lower than CHG, if I remember correctly. I can ask about this too. Chad: High ROH will affect (Fst). That's concerning if so. Did he say if there is any way to quantify this? That is, does CHG have +0.010 Fst against Iran_N from this effect (so without RoH would be something like 0.044?) or +0.030 (so 0.024), etc. Pretty much all the ancients have higher ROH across all their runs than modern people. Less so the EEF, but even then some. Particularly the Western Hunter Gatherers, so this is concerning mostly for them. (https://images.nature.com/m685/nature-assets/srep/2016/160809/srep31326/images_hires/srep31326-f2.jpg and https://www.researchgate.net/profile/Cristina_Gamba/publication/284019945/figure/fig3/AS:297808151236647@1448014404536/Figure-3-Distribution-of-ROH-a-The-total-length-of-short-ROH-16Mb-plotted.png). If it's a significant effect, the level of differentiation we see in Fst between WHG and EEF, etc. may be much lower than it currently appears adjusted for ROH. I didn't ask any specifics about quantifying the amount of effect. Although that is a good question. I'm not sure it really matters when it comes to modeling based on ancients, say MN as a mix of WHG and EEF, as they two should even out anyway and not effect modeling. That may be where using a non-anachronistic mix is best. As in not making older groups as admixed with younger groups and etc. A group should naturally be more heterozygous as they acquire new mixture, so all ancients will be more inbred than us. What I specifically asked about is if high RoH in samples like CHG can create artificial distance from Iran_N due to the inbreeding, since they are both basically mixtures of the same things. He said that indeed it does. If samples are related it causes a problem because F_st basically needs to calculate a heterozygous rate for the population. He said that f4 stats like I mentioned can help to sort it out. I would imagine that means if one shares a lot of drift with one population and there isn't a very significant preference for something like EHG in CHG vs Iran, then the RoH may be the culprit. Here is one interesting paper on F_st from Bhatia et al (2013). Nick was in on this one. I've basically just skimmed it, but it seems many variables are at play and f_st can really vary based on the method one chooses to calculate it. High RoH affecting fst has been apparent for a long time, hasn't it? Lower fst between English and Palestinians than between Chukchis and Eskimos, but IBS and shared drift will surely tell a different story. This is 1 or more for non-Africans without apparent African (Loschbour, French) or little African (Lebanese, Jordanians). Iran_N also >1. Basque may be related to Dravidian suggesting Neolithic Iranian origin. >The problem here is also that EHG is significantly further from Ust_Ishim than WHG, suggesting possible CHG>EHG flow confounding the stat. That's probably due to much higher Paleolithic European derived ancestry in WHG than in EHG. Surely you don't publish your name for avoiding a mess of raspberries: Albanian Tosk not with IE but with Brahui! R1b-V88: out of the Balkans and into Africa? CHG or no CHG in Bronze Age western Iberia?